Are You Noticing Less Sales And Fewer Customers? Are You Hearing Reports Of Much Higher Credit Card Debts? Are Utility Costs Rising Compared To Previous Years? Have There Been Reports Of Slower Cash Flows Lately? Are There Any Reports With Increases In Bankruptcies? Are You Hearing About Staff Reductions Or Layoffs? Are You Concerned About Reductions In Employee Benefits? Do You Hear Anything About Credit Ratings Dropping? Are you Considering Reductions To Your Marketing Efforts? Have You Noticed That Advertising Costs Are Being Increased? Any Reports About A Possible Slowdown In Manufacturing? Any Chance That Manufacturers Are Cutting Down On Quality? Remain alert and vigilant as there are many factors that are outside of your control. Your best option is to anticipate a crisis and prepare in advance as best you can. You do control your business activities and just how well you manage them. Thanks for the tips. You have a lot of good information here. In my opinion, a crisis this big would harm all of us. Yes, of course. The goal is to avoid the crisis by keeping your focus on what is necessary to get and keep your business afloat. Thanks for the tips–predicting the next financial crisis is a critical task for anyone involved in business right now, and the questions you’ve listed here are a great starting point. This is certainly not the happiest topic to talk about, but it is essential to help yourself to prepare for all possibilities. You certainly will always have a much better chance of surviving and even continuing to prosper if you will take corrective action earlier rather than later. We all hope we are prepared, but after what happened in 2008-09, closer scrutiny of everything is in order. For instance, you cannot place your trust in what today’s DJI is. You must also know at least something about the geopolitical scene and know what the Baltic Dry Index represents. If you’re up to it, reading some financial reports can’t hurt at all. Pay close attention to current capital and operating capital. Those figures tell a lot about how likely a company will be do pay its short-term debts and stay afloat. This is very true. The best way to keep your options open is to be as vigilant as possible. I wonder how many people actually are aware of these indicators. Probably very few. And of those that do, probably even fewer have a plan in the event it does occur. One question comes to mind: how might we differentiate between a financial crisis and financial stagnation. Surely it would call for a different set of responses, no? Well perhaps, but both situations would definitely have some negative effects upon your business. So, in either situation, once the effects are detected, it would be wise to initiate a plan of action to handle them. Very insightful and eye-opening. This hits on several points that many business owners fail to realize. Glad someone can finally nail down these points so businesses have a better chance to thrive and catch these signs before they become a problem. Most of our subscribers have indicated that they love this information as it is a constant reminder for them. Any business can generate a lot of daily activities and sometimes it is easy to lose sight of important issues that are “creeping” up behind you. Glad that this helps you. Thanks for your comments. This article makes some great points and it is always helpful to know when you are heading toward a financial crisis. I certainly become concerned when I begin to see less sales and fewer customers. Thanks for the insights and please keep us posted with this kind of information. We are constantly asking our subscribers to let us know what kinds of information would be helpful to them. We appreciate your comments. Thank you. 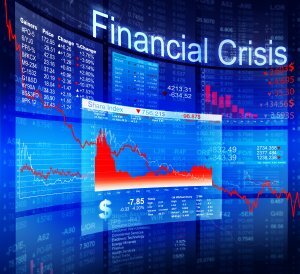 Great info – recognizing a financial crisis in time can save so much gruff! That is true, Fawn. Recognizing the crisis is important, but taking action is even more so. A good reminder to keep abreast of what’s going on in the business world and make sure our companies stay afloat. We must remain vigilant and keep checking the pulse of our business as the article details. Thank you, Fred. Hopefully, as more people become aware of this issue, more companies will offer up potential ways to resolve or minimize the hardships that appear to be drawing closer every day. It’s definitely hard to recognize a financial crisis. The worse possibility is that it might be too late when you finally do notice a shift. However, all of the things covered are definitely on point and useful though! It is worthwhile to look ahead as much as possible in business, not just to focus on the struggles that you are facing today. A financial crisis usually doesn’t become a crisis overnight. If you are watchful, you will see the crisis developing in time to take action. Nice easy checklist of ways to spot a potential crisis, but I think that if things have gotten to such extreme’s already, that you should have definitely noticed beforehand. Being invested in your company is as important as making money from it. Certainly your company would be in a horrible state if all of these conditions were happening at the same time. Hopefully, you will look at these as situations to watch out for, knowing that is it unlikely that you will see them occur to your company all at once. The very best way to handle such concerns is to focus on the areas that you can control. If you are facing all these questions mentioned in this post at one time, then you are as unaware as the captain of the Titanic. Even if your situation is not as bad, you are still heading for very rough seas. The only way to avoid financial disaster in this example is to constantly adjust your business activities to the demands of marketplace. Max, you are correct to suggest that business owners watch the marketplace closely. One cannot control outside factors, but controlling how your business reacts to the marketplace is your strongest move. I do believe that recognizing crisis beforehand is an important step in keeping your business in tact and moving along well. Obviously there are certain situations in which this isn’t possible, but nevertheless great article and sound advice. Thank you, Adrian. We hope that it helps others as well. This is great information but it makes me wonder if our federal government is equipped to recognize a financial crisis in time. I’m not convinced that they can. I suppose that it behooves every citizen even more to practice fiscal responsibility and prepare for that inevitable crisis. Thanks for the tips! Great questions. I will keep them in my mind! Everything changes and the economy is not exempt. Your statement is loaded with truth. The time to prepare is before everybody is talking about it. Employees, being human, are affected by many factors which are never all within their control. You must remain sensitive to their needs, the needs of your business and the impact that external forces are having on everything. This is GREAT! As a business consultant I know that recognizing crisis is SO important yet so many business managers/owners don’t notice a crisis until it is too late. Educating people on this subject will help so many businesses thrive!!! Great job! Thank you for your compliments! A good manager will not just manage the current internal activities of a business, but make sure that the business secures and maintains the capacity to withstand adverse external situations that might develop. A sudden financial crisis is probably not something that anybody enjoys thinking about, but it is best to prepare for it BEFORE everybody is talking about it. When everybody is talking about it, it is probably too late to do anything. I think you’d have to notice it if you were diligent in with your records and bookkeeping. I would think you would know just based on watching the competition coupled with your own results, profit margin, cash flow, etc. Very true, Matt. Every business needs to be monitored in some manner. It is so easy to become complacent and feel that all is under control when your profits are growing and business is good. It is during those times that you have your best opportunity to prepare for a crisis. In business, if you are not in the middle of a crisis right now, you should be preparing for one. That is the smartest approach. It’s inevitable, but that’s true: the best thing to do is to prepare. Prepping is a real thing. I’d like to become more of a prepper. It’s a gradual transition. Thank you Sandra for your observations. Preparation is really the only option to consider. It is definitely a process to be prepared before you have to be. Our strategy points out that it only takes one very poor decision to destroy your business or to damage it severely. But, it is not possible to make just one decision that will make your business financially sound. You can only make your business financially sound by executing a series of proper decisions. It requires a process. You seem to know that already. Good for you! What would be your top 3 recommendations for safeguarding your business? 1.) Resource Management – Have some methods of always knowing that the business is strongly fulfilling its reason for existence. In other words, the business is financially stable, growing and debt-free. From a stance like that, you will more likely always have options to “adjust” to external pressures if necessary. In addition, your financial strength will be assured by properly managing all of your assets and keeping expenses to a minimum. 2.) Customer Goodwill – Your customers (past and current) are major assets and should be given as much attention and focus as possible. Not only should you be very aware of their past needs and how well you have satisfied them, but you should also know their current and future needs so that you can grow with them while satisfying their ongoing needs for products and services. If you are not able to do that, you have doomed yourself to only be able to survive as a business by “constantly identifying new customers” and is not what you should want. 3.) Growth Opportunities – This ties the other two recommendations together. Your customers should be pointing you in the direction of possible future growth areas and having effective resource management will provide you with the financial stability you may need to move the company into these new activities and/or products. There is some good information in here. There are some good questions raised in the article and I think it can be very helpful to people in this arena. These are key indicators. We appreciate your comments. We are happy that you found the article to be helpful.